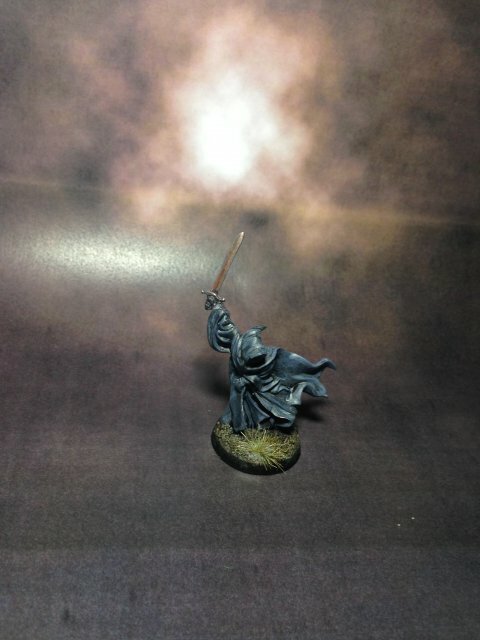 Master Shadyt, great recommendation thanks!!! 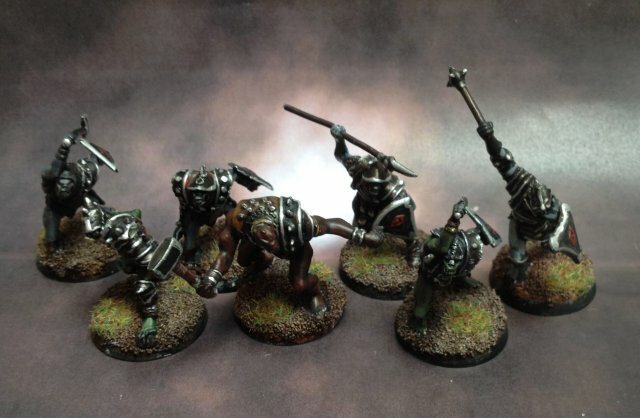 Beautiful paintwork, master orc ! Thanks Very much Master Gerold!!! 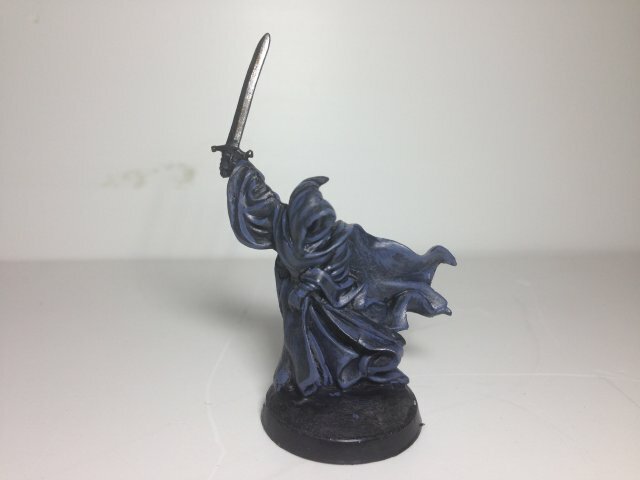 1)A finished Nazgul (very fast and simple) But I like It! 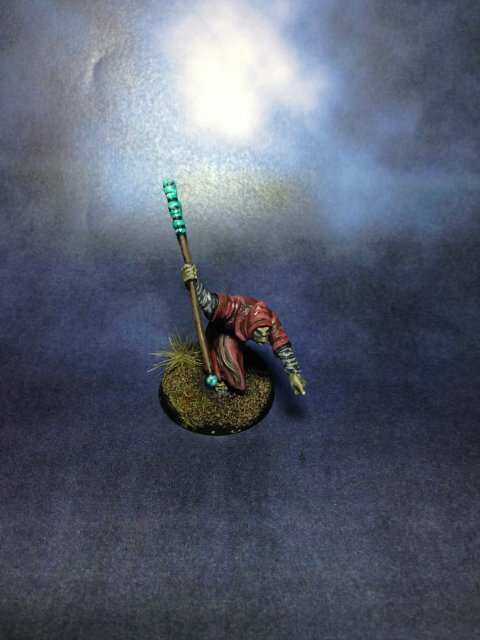 I'm planning take bettr photos from my finished miniatures and put some decoration or background...but I don't have experience doing this...all coments and ideas are welcomes.!!! Nice work! 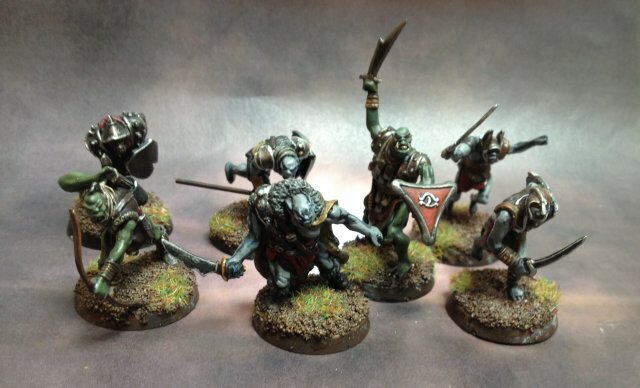 I really like the trolls, and the skin color for the orc is good! Thanks Master Milo!! without your help.... this project...can't become true!!! Great ! Always happy to help. 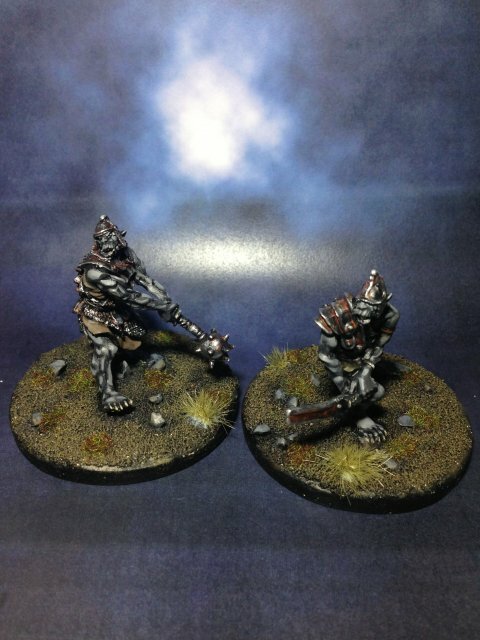 I really like the shading and highlighting on the trolls! 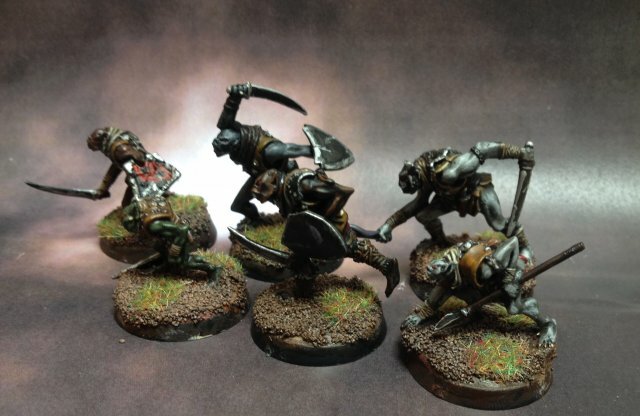 Very well done, and those two new conversions are fantastic. Maybe the best so far !! Great work, master Orc. 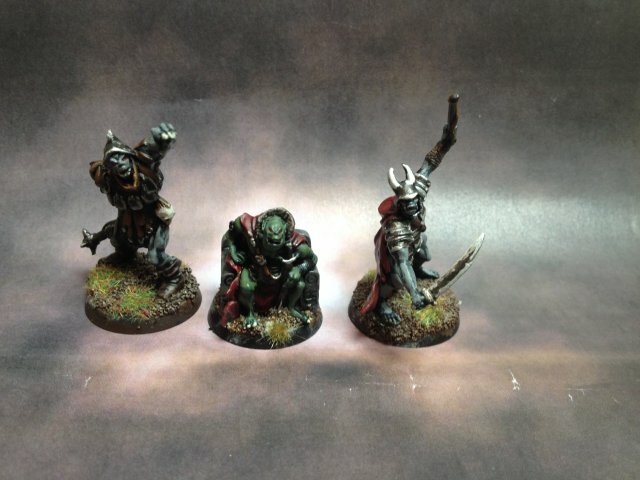 I also tried the same trolls, once with dark green skin, once with dark red. But I do like your skin colours. Thanks Guys!! And Nice Christmas Hollidays to all of you!! You can mix the last colors with little be more white (about 10% more white) to give the last light in the detail areas!! I never use before pigments....this was my firt time and I'm very happy with the effect. I have used rust and red from pigments from vallejo (70%rust +30$ red).Only need to mixt with water and is ready to use(usually betwen the armour plates and around prominent weapon parts) after use it...you must fix the pigmente... with a pigment fixer I use MIG pigment fixer...wait until dry and you can give some lights on the prominent areas...very very nice...I'm planing to use it more in my upcoming orcs !! 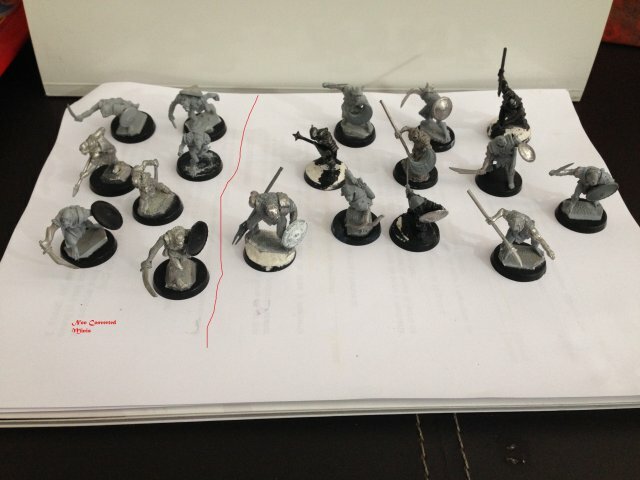 This past year, someone stole rather a lot of miniatures from me, including my fully painted 40 member Dol Guldur Orc (from Mithril) army. Later in 2015, I'll start reassembling that army. 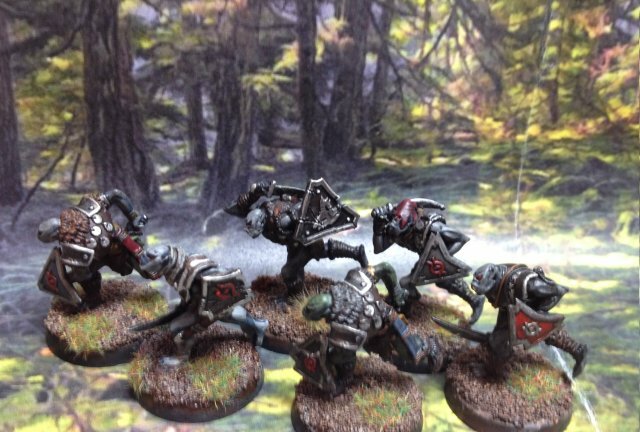 I'll be using lots of bits of Wargames Factory orcs to make the whole process cheaper. I shall be watching this thread for inspiration. 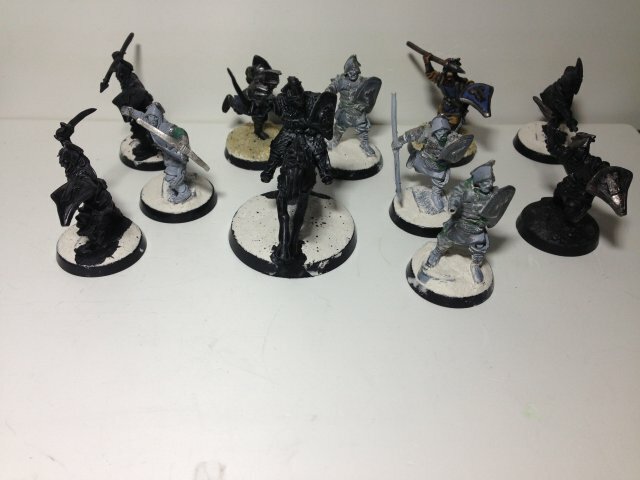 I also have 10 sprues from WF. 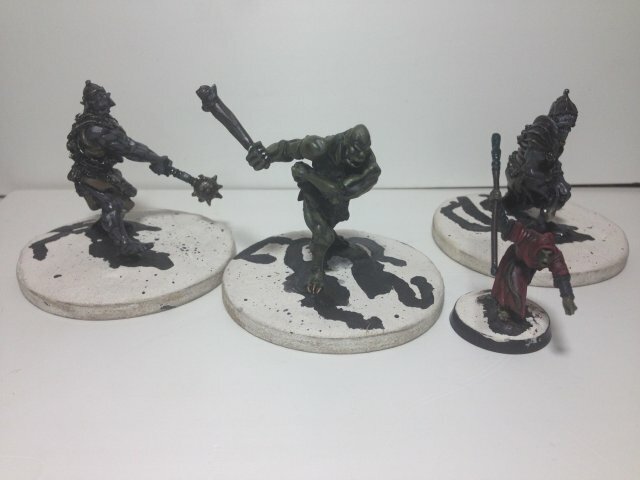 This thread has already inspired me to do some more orcs. I am looking forward to seeing more. Gavin, sorry to hear about your stolen orcs. You should post pics on TMP along with details of how and when they were taken, you will get a few hundred people helping you find them. Hi guys!! 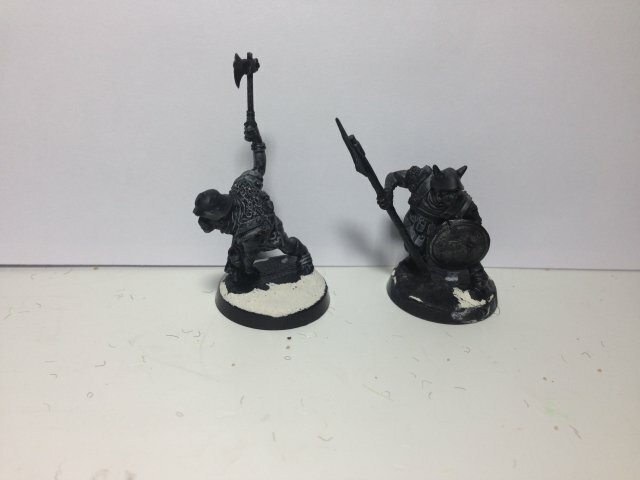 I'm back and I have many ideas and projects with this lovely miniatures....now I'm working on my orcs again...making more conversions ... I will show you soon!! Nice to know about your projects to this 2015!!! Hi Again!!! 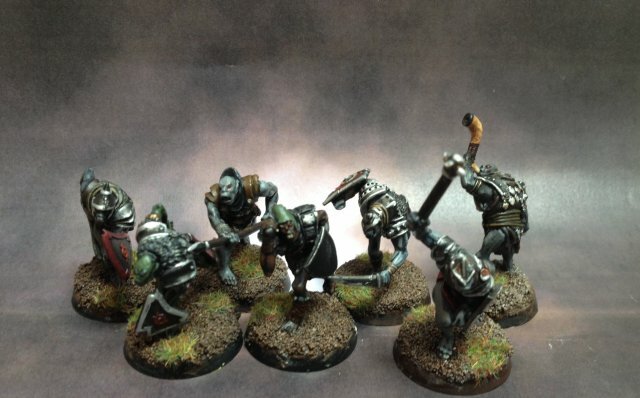 Here some more orcs ! 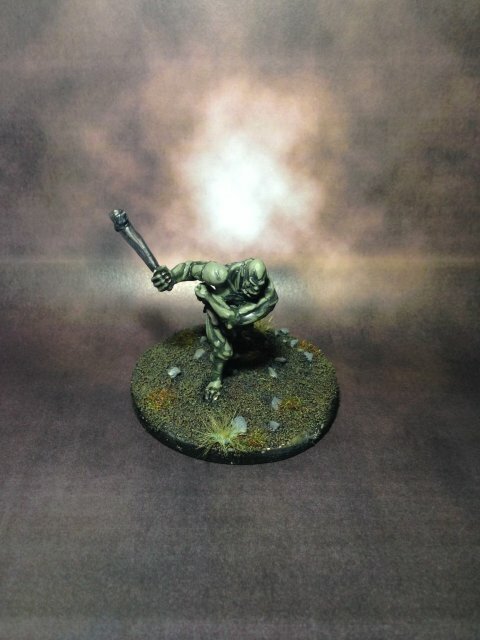 11 more great conversions! Looking forward to seeing some close up pictures. 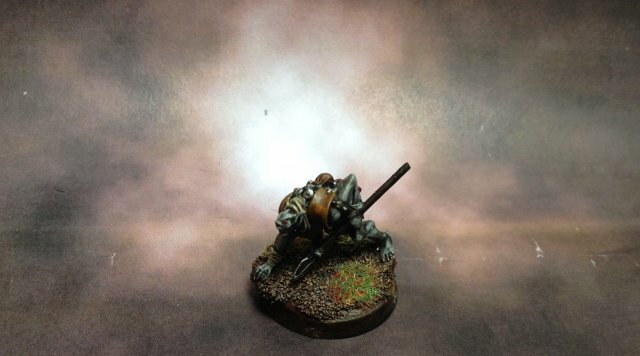 I took some photos from my old orcs forces! It is always nice to see your work. 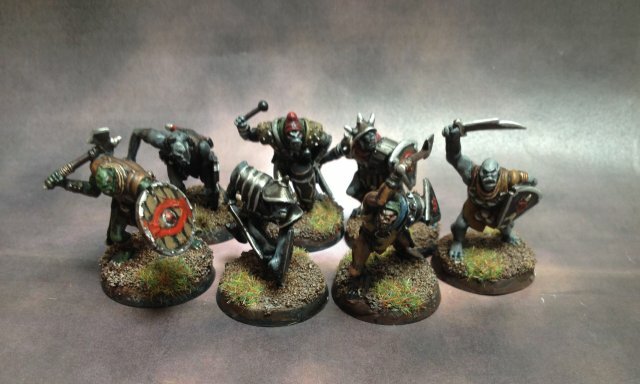 That is a great looking bunch of orcs ! Wow, that really is quite a force. Thank you for proviving those pics here. Wahou ! I love this squad but hope will never see it as a hobbit. 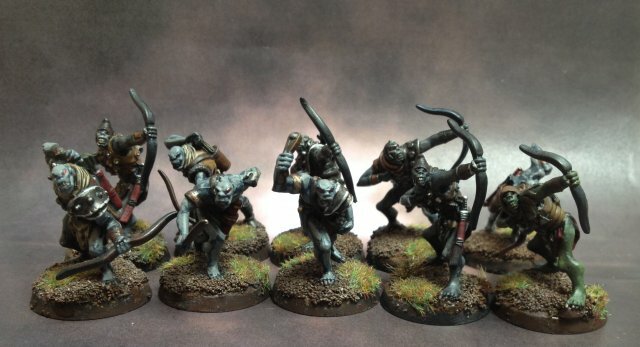 GVery nice painting, lot of work has been achieved on bases also. Keep going ! 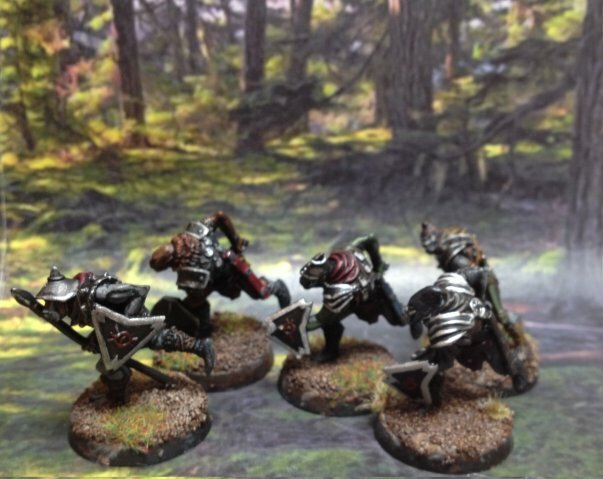 Great Orcs, Orc! . Like the overall effect of the group.